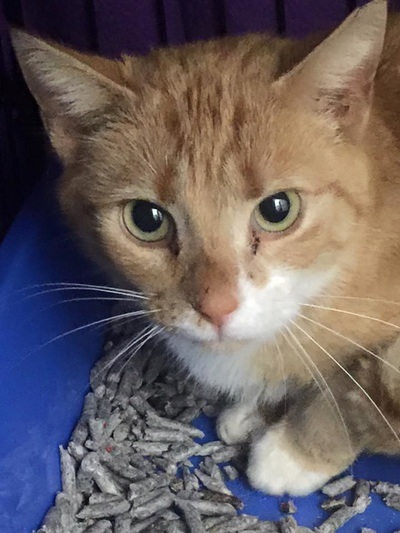 I was found on February 27 in Gibsonville, NC and no one has claimed me as theirs. I was covered in fleas, my ears were filthy with ear mites. I went to Plaza Vet for a combo test and my test came back positive for feline leukemia. 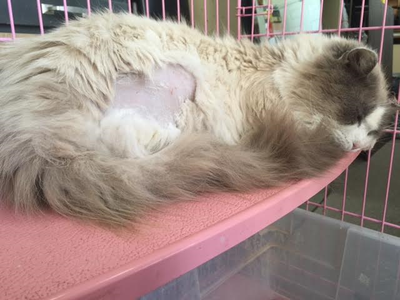 Sparkle Cat Rescue requested a second test be sent to a laboratory to confirm leukemia and it will be 2-4 days before they know for sure. I am super sweet and I hope someone will adopt me even if I am positive for Leukemia! I love to get belly rubs and love to be held! I have not been named yet. A very HAPPY BIRTHDAY to Caleb (13 today) and Nathan (11 tomorrow)! 200 cans of wet food!! 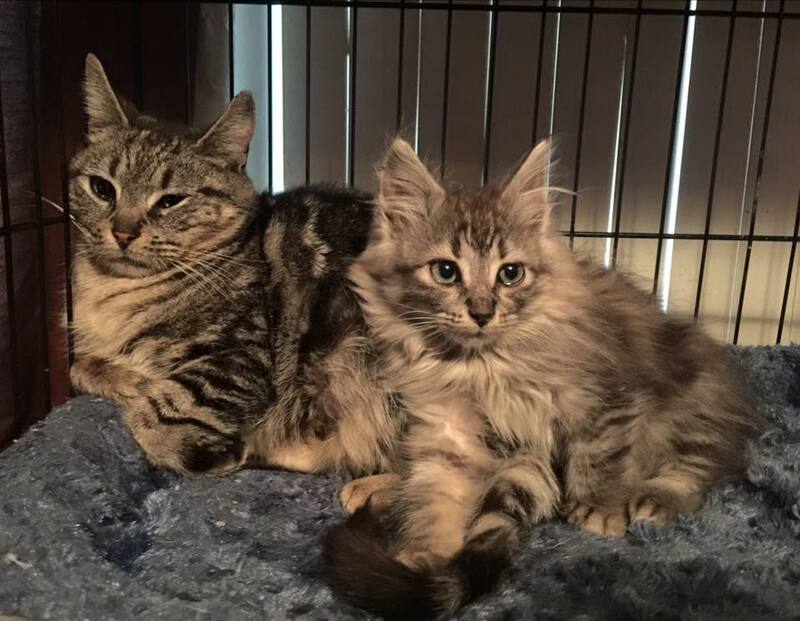 Their mom (and us at Sparkle Cat Rescue too!) are proud of their hearts for the animals of our community! What a great birthday gift and such caring boys! We hope to meet them soon so they can meet some of our kitties they are helping! Happy Birthday to Caleb & Nathan! 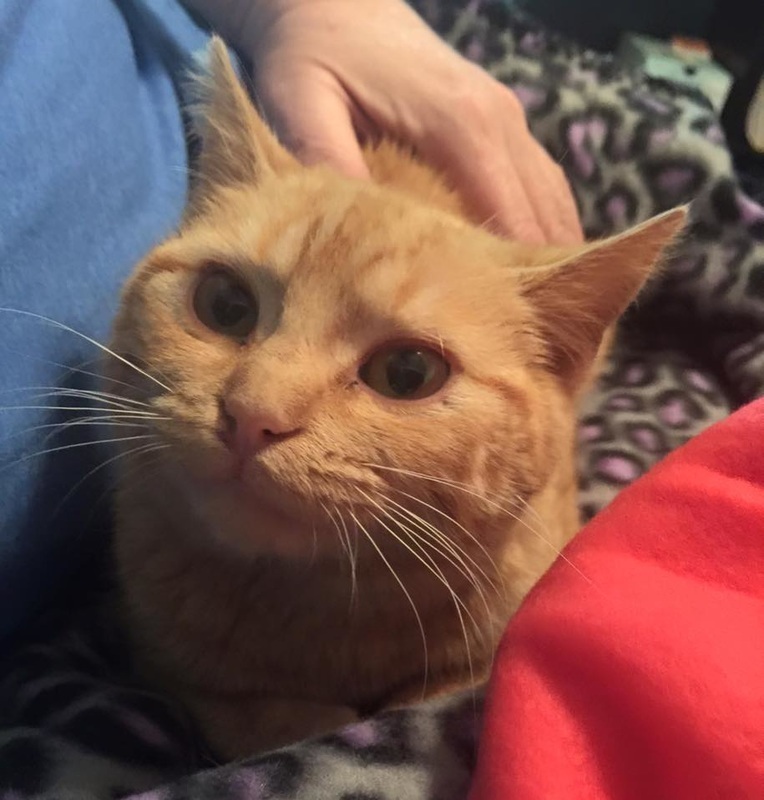 Rescued by Sparkle Cat Rescue volunteer, Christina on 2/24/16 - severe upper respiratory, fostered and given lots of TLC by Cheryl. 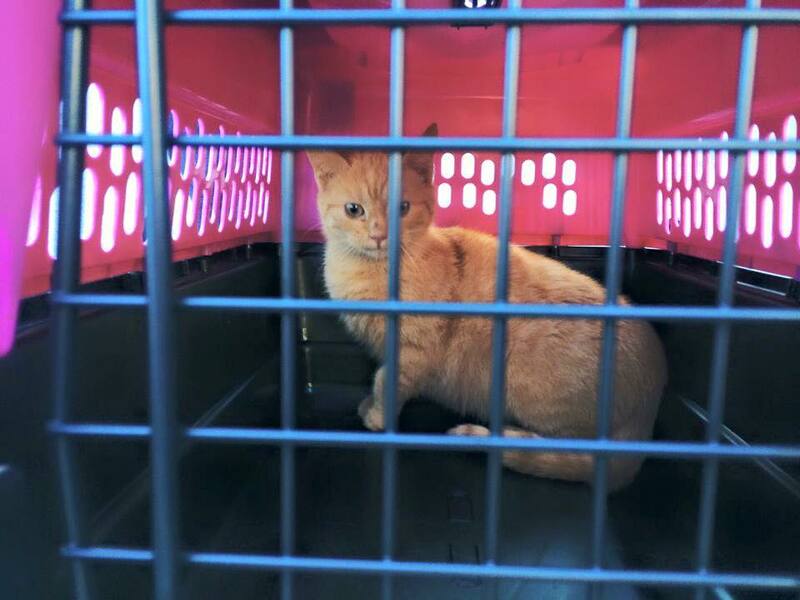 Rescued in Elon, NC on 2/26 by Sparkle Cat Rescue volunteer Christina. I am sibling to kitten rescued on 2/24. Rescued as a stray at Bojangles in Graham, NC. 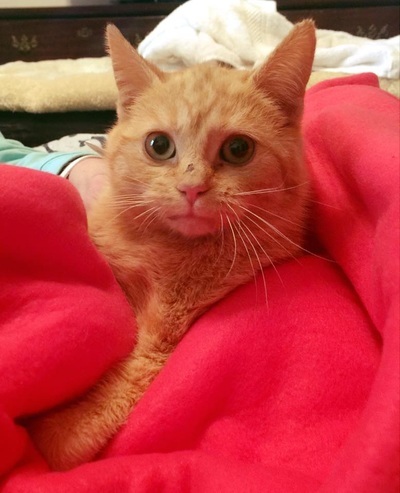 I am very friendly and was neutered and ready to find a forever home. FIVE adoptions today! Milo and Winston were adopted to the same home; brothers Appa and Momo were adopted to the same home; and Rapunzel was adopted! All of these babies will be so spoiled and loved! Sir Zandervilt is a handsome Snowshoe boy, rescued off the streets in Greensboro, NC. 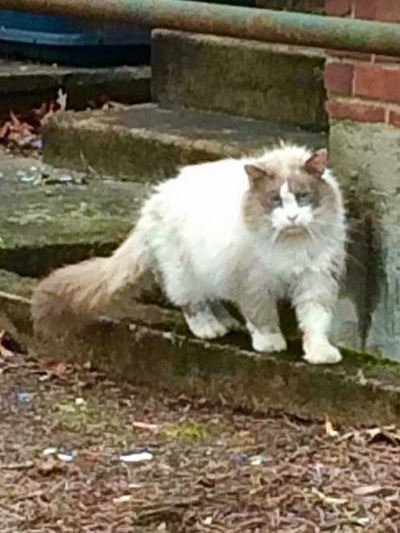 Witnesses saw him being thrown out of a car into a cat colony near some apartments. A resident male cat in the colony attacked Zander and caused such a severe ear injury that he is lucky he did not have to lose his ear. Volunteer Kristi and board of directors member, Eric transported Zander to Dr. Linda East in Greensboro soon after his rescue and he was neutered and had his ear wound treated. On Sunday he went to a foster home where he is receiving TLC until he is well enough to transfer to a more permanent foster situation. We have already received adoption interest in him. We have to wait until he feels well enough so we know what the best home for him would be. Foster mom Cheryl says he flinches sometimes when she tries to pet him, as though he may have been abused. Thank you so much to Carolyn, Gwendolyn, Lakey, Lisa, Raechel, Shelby, Tiffany and Tracy for donating towards my medical expenses! You are all pawsome! 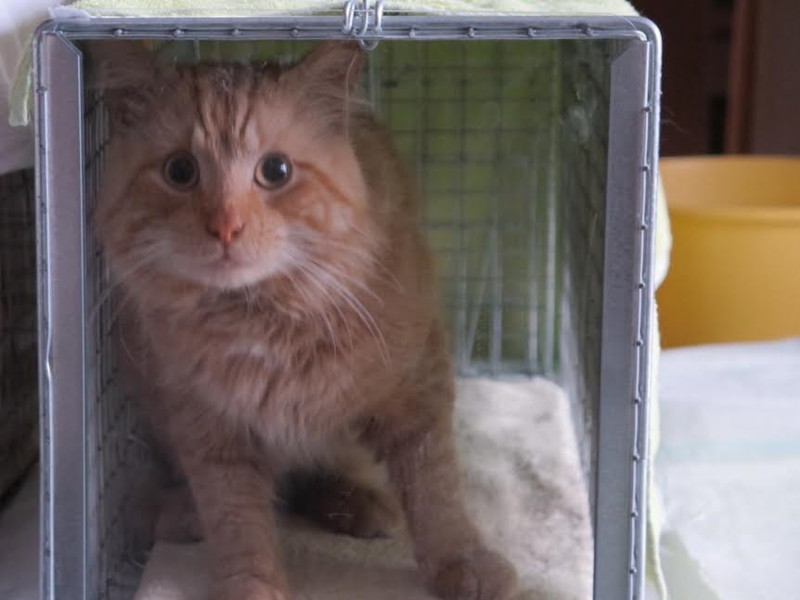 He is safe now and we will protect him and find him a home that will adore and love him. Volunteer Kristi and board member Eric rescued these four kitties, along with Snowshoe today. When Kristi and Eric went to apartments in Greensboro to rescue the large Snowshoe who was injured, they happened upon a colony of kitties that needed help. Animal Control had already started trapping cats and it was also learned that some kitties had been found dead of suspected poisoning. These four kitties were very lucky to be rescued. One already has an adoption application in (orange female). All are safe in foster care with Kristi and Eric. Two nights after my sibling was rescued after a stormy and windy day, I was found. Unfortunately one of our siblings was found deceased. I am safe and sound and in foster care. I am only about 2 weeks old. Sparkle Cat Rescue's friends at Triad Independent Cat Rescue have agreed to take me in. Sparkle Cat will be super busy very soon with kitten season. This wee little baby was found today in Elon, NC after a terrible day of tornado warnings and rain. 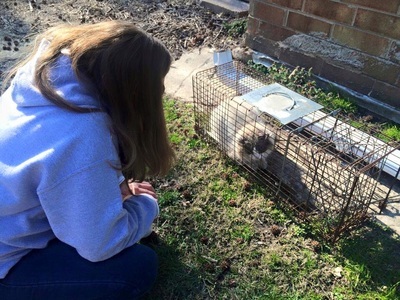 The shelter that had been provided for her, as well as her mom and siblings, had been recently moved by the homeowner, away from where dogs were bothering it and closer to a ditch area. We are still searching to see if the other babies are alive and where mama is. As of 2/25/16 she is doing better but we are still concerned about her health. She is only a few weeks old, very congested and being bottle fed and provided medication. Sparkle Cat Rescue's friends at Triad Independent Cat Rescue have agreed to take me in. Sparkle Cat will be super busy very soon with kitten season. Cecilia was rescued in the summer of 2015 from Guilford County Animal Shelter in Greensboro, NC. We were told she was 6 but after a visit to our vet, it was determined she is actually about 12 years old. Since rescue she has had upper respiratory issues due to problems with her teeth. 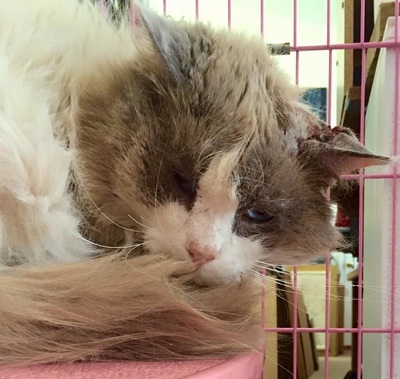 After a vet visit on February 17, it was recommended she have a dental cleaning and possible tooth extractions (they won't know until she is under anesthesia if teeth will have to be extracted. 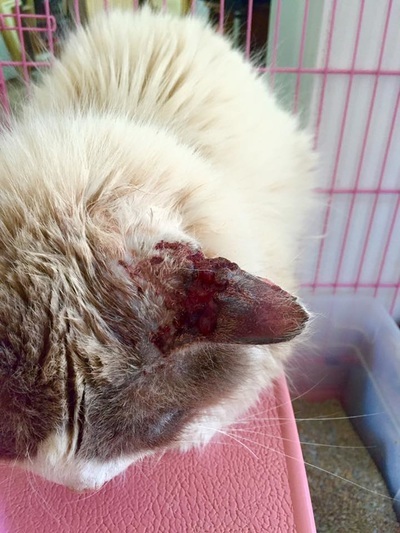 Thank you so much to our supporters who donated $150 for her medical care: Christy, Sally, Teressa, Tiffany. Update after surgery: Cecilia had several teeth missing prior to surgery, and during surgery she had 3 teeth extracted. She is doing well back with her foster parents who have decided to adopt her! Michaelangelo had surgery today on his eye and we were so saddened when we got a call from our vet that while he was in recovery he never woke up. His heart rate started declining and they were unable to resuscitate him. Everybody loved Michaelangelo ' Mikey' and he was such a sweet boy. 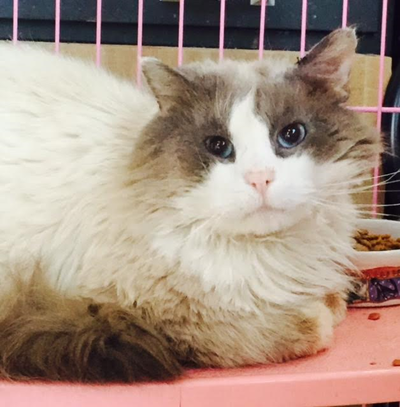 He was rescued in late 2015 after being reported as a sick cat found in Mebane, NC. One of our volunteers went to rescue him and his eye was treated for several months without the possibility of saving it. We are so thankful to all the supporters who donated towards his surgery. We are sad he had to die so young. We will never know if he had underlying health issues that contributed to his death. His body was cremated and we will scatter his ashes. 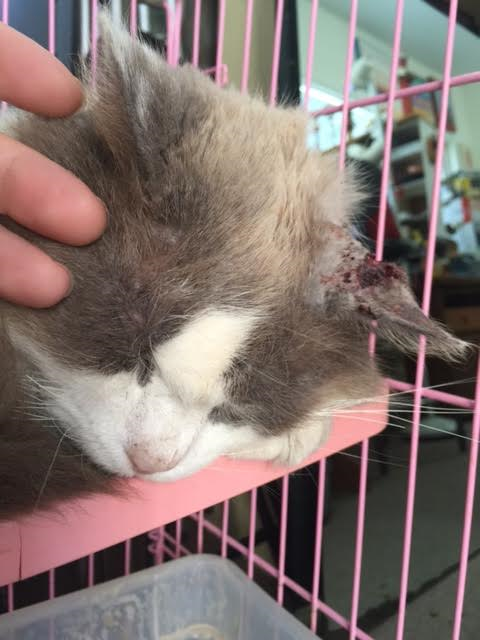 Thank you so very much to our supporters who donated $490 towards his medical expenses. Allison C., Alyson P., April C., Bill B., Dodie B., Jan B., Jean S., Joanna R., Lakey W., Lisa C., Mindy V., Nancy W., Pat P., Raechel K., Shelby M, Terry B., Teri K., and Tiffany M.
MAKANI found her forever home tonight, after only being in our program for less than two weeks! 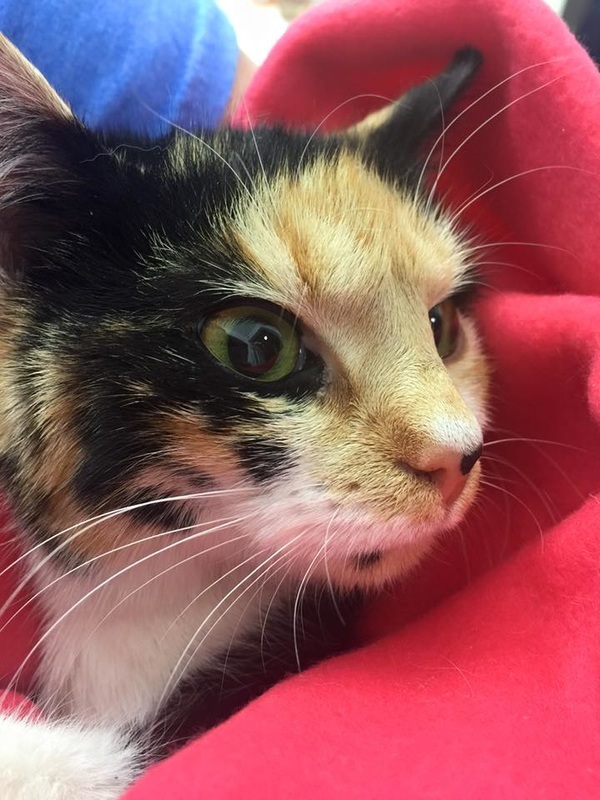 She was rescued on February 8 after we received a message of a crying cat at a business in Burlington, NC. She had been around the office for 2 weeks and appeared to have been dumped there. Within 30 minutes we were on our way to look for this kitty and what we found was an incredibly sweet girl who walked right up to us. We reported her to Animal Control in Burlington, NC and posted her on Facebook. No one stepped forward to claim her. We are so happy she now has the home and all the love she deserves. She has a great mom and dad, two great kitty brothers (Mozart and Ringo). Her new name is Mia (the name I originally gave her - new foster mama had requested to change it to Makani). MIA (formerly Makani) and her new mama and daddy! Trapped at a local business in Graham, NC that was threatening to call animal control. This very large grown boy recently showed up at a colony of cats taken care of by friends. He was probably dumped there. Assessing him for socialization and adoption. I have nicknamed him 'Blackie' but a new name will be thought up soon. He had a head wound, bleeding for over a week according to colony care-taker--who knows what he has been through. Sparkle Cat Rescue's master tra...pper, Christina Lippard, snared this guy. 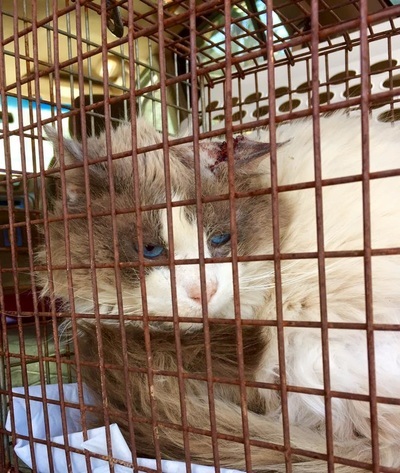 After being trapped and neutered, at the moment she was to release him back to the world he was just rescued from, she could not turn him back out without first asking Sparkle Cat Rescue to consider him. What a very, very, lucky day and moment for this black beauty. Taken to Plaza Vet day of rescue, he tested positive for FIV. This is not a death sentence. He can live a long and healthy life with proper care. He is a big boy (estimated to be about 13-15 lbs). SPARKY was adopted today by Mike and Annie! They are so happy to add a little black panther to their family, joining Nova (formerly 'Gray Girl' adopted last year from Sparkle Cat Rescue), and Leo, their Bengal. Sparky was rescued in May of 2015 after being found in a truck in Liberty, NC, covered in sawdust. 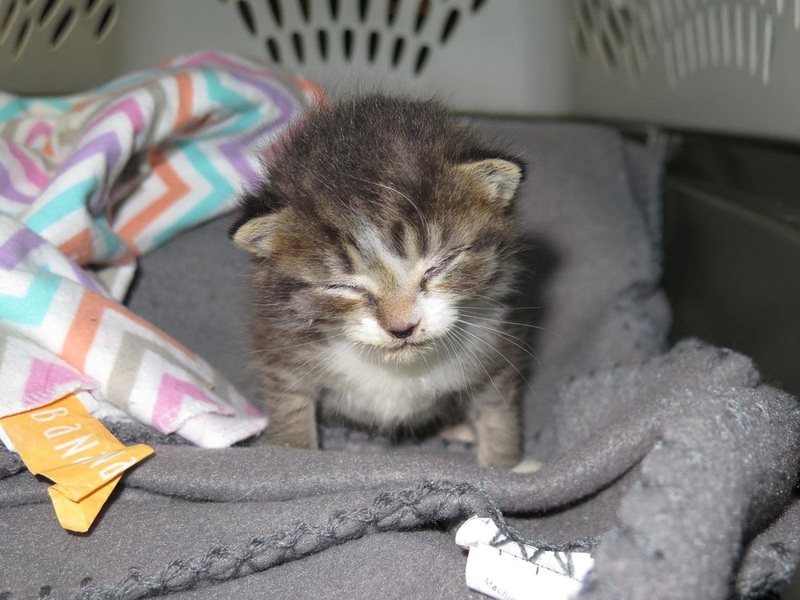 He was only a week old and required around-the-clock bottle feeding by his foster mama, Cheryl. We are so happy at how big and strong he grew and he is such a sweet boy! Sparky and his new mommy and daddy! 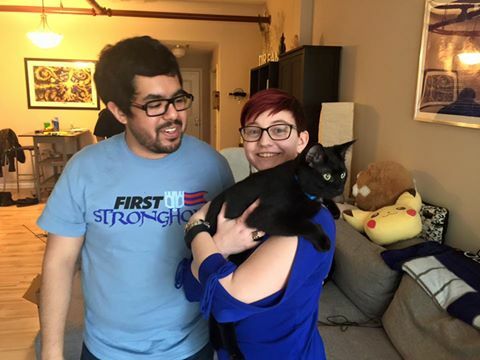 BINX found his forever home with Juan and Kristen! He is going to have such a great life and be spoiled endlessly! We are so happy for him! Binx was rescued in April of 2015 along with his siblings after his mama was hit by a car. He and his sister Settie were the only surviving kittens of four. He was bottle fed by his foster mama and thrived and grew into such a handsome boy! Binx and his new mommy & daddy! SPRINKLES was adopted today! Her new daddy is an Elon student who loves all of Sprinkles' silly quirks! 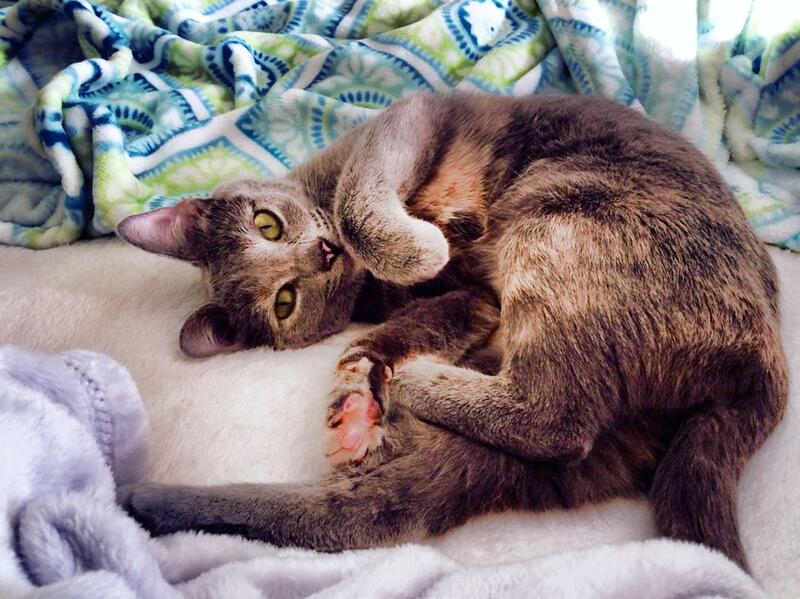 This sweet girl joined Sparkle Cat Rescue in July 2015, after her family decided they couldn't keep her (although they kept another cat and a dog). 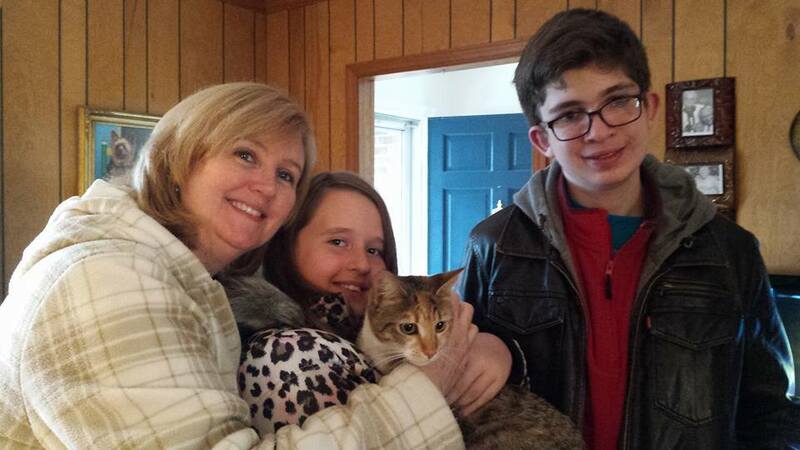 We are so glad we were able to find the purrfect home for such a deserving and sweet kitty! Co-founder Jim found Asher outside his office building. "This is the kitty I rescued outside of my workplace on Tuesday. I was leaving the building and he was just sitting there on top of the wall at the top step. I could see he was skinny and sick and he just let me pick him up so I took him right home and we immediately got him veterinary care. Thank you Town 'N' Country Animal Hospital in Burlington in Burlington for seeing him on short notice! He had terrible fleas and has a horrible upper respiratory infection. He's on me...ds and seems to be responding well, but it's going to be a while before he is better. He is between 1-2 years old and only weighs 5.75 pounds which is about the weight of a 6-8 month old cat. He eats and drinks well and (my rescue friends will know what I mean by this) his poop looks good. 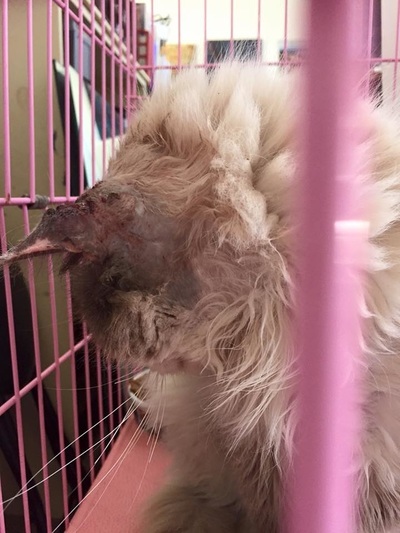 How fortunate for him that someone specifically in cat rescue came out the door right when he was sitting there. I think he wanted to be rescued and taken care of. He is very sweet and even though you can tell he does not feel well, he will knead on you and roll over for belly rubs. I've named him Asher, which is a name associated with happiness, blessings and good fortune in both the Torah and the Bible. He will be taken care of by myself and Stephanie through Sparkle Cat Rescue. I am the last of 6 kittens to be trapped at Kenyon's Meat Market in Mebane, NC, along with my mama. Mama went to Juliet's House. I'm so glad to be reunited with my sisters and brothers! Mama is doing great in her new foster home. We are all so lucky! I am sister to Rapunzel, who was rescued in late January. Sparkle Cat Rescue searched for me high and low when they found Rapunzel but I was not found. One of my siblings passed away after freezing to death during the first snow in Alamance County. I am so lucky to be safe inside now. My mama was rescued too! Mama most likely was once someone's cat and they abandoned her. She is pretty friendly. The townhomes where we were found are not allowed to have cats so Sparkle Cat Rescue was called to come help us. I am mama to Rapunzel and Mia and was trapped with my girl Elsa tonight. My baby girl Rapunzel was rescued a few weeks ago during the first snowfall of the season in our city. I am glad to be safe and sound. They think I was probably abandoned by someone at the townhomes where I have been a stray for quite a while. I was taken to be spayed and was not pregnant (thank goodness). No more kitties for me! I am safe in foster care with Sparkle Cat Rescue. 3:20 p.m. message received about a cat at Leeson Plant in Burlington NC off Tucker Street Extension and Hatchery Road. 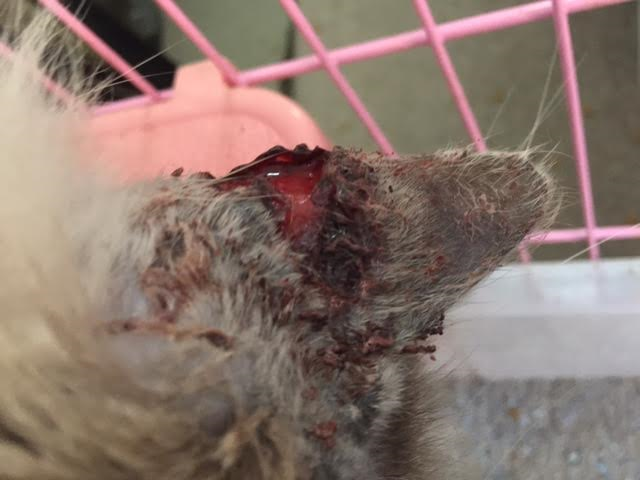 Kitty has been there for several weeks and was crying for help today. With no other rescues able to take her in, although we are at capacity, I couldn't bear to hear a cat was crying out in the cold. Myself and another volunteer went over to search and found an employee that directed us to kitty who walked right up to us. We got her in the carrier and back she came with me to Sparkle Central. She clung to me as I held her. She curled right up in her cat bed as soon as she was put in her crate where she has to remain for the night for isolation and a trip to our partner vet tomorrow for a combo test. 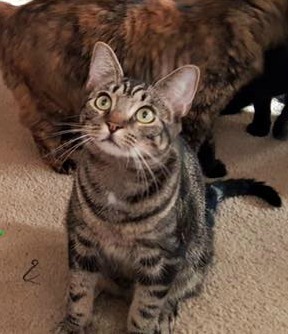 She is believed to be about 5 months old. LEILA was adopted today by a wonderful family who fell in love with her at her meet 'n' greet over the weekend! What a lucky girl to get such a great family! Leila and her new family! PORTIA was adopted after her home visit and meet 'n' greet! Her new mommy was so happy because she really really wanted Portia! We know our sweet girl is going to have a lifetime of love! Portia and her new mommy! Tortie girl (nicknamed Reeses) kitten from Kenyon's Meat Market in Mebane, NC, was rescued today and taken in for her spay and then transported back to Sparkle Cat Rescue. 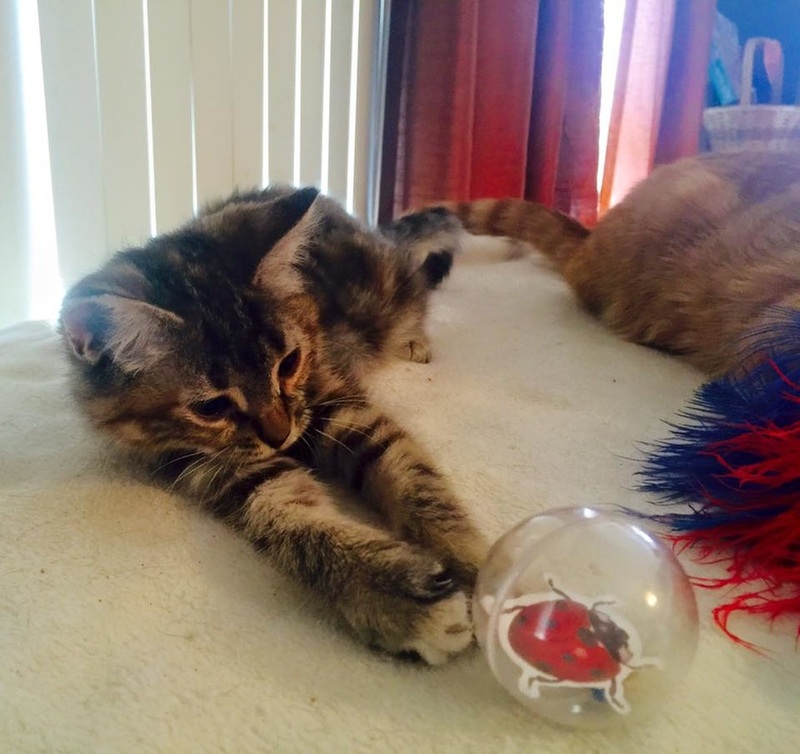 After spending almost a year in foster care at Sparkle Central, SUNNY finally found the purrfect home! He has two new kitty brothers who he gets along great with, and a wonderful mom and dad! A match made in heaven! Sunny with his new mommy & daddy! We received a call in January from Mebane Vet about Rufus and Wilson whose human mama is going into senior living and wanted to find placement for her senior boys. We have been in touch with their human mama since January, working with her to find homes for her boys so she could have peace of mind when she moved into senior living that her boys are safe. We were able to find an adopter for Rufus. Wilson is with us at Sparkle Central and if an adopter is not found, he has a place with us for the rest of his life. These two boys are so sweet. Today, Rufus was adopted and Wilson came back to Sparkle Central where he hangs out in the office with the co-founder, Stephanie. Mama cat to the Kenyon's Meat Market kitties was rescued today. She is pregnant and another local independent rescue group, Juliet's House, has agreed to take her in. They have a foster home lined up where she will have her babies. 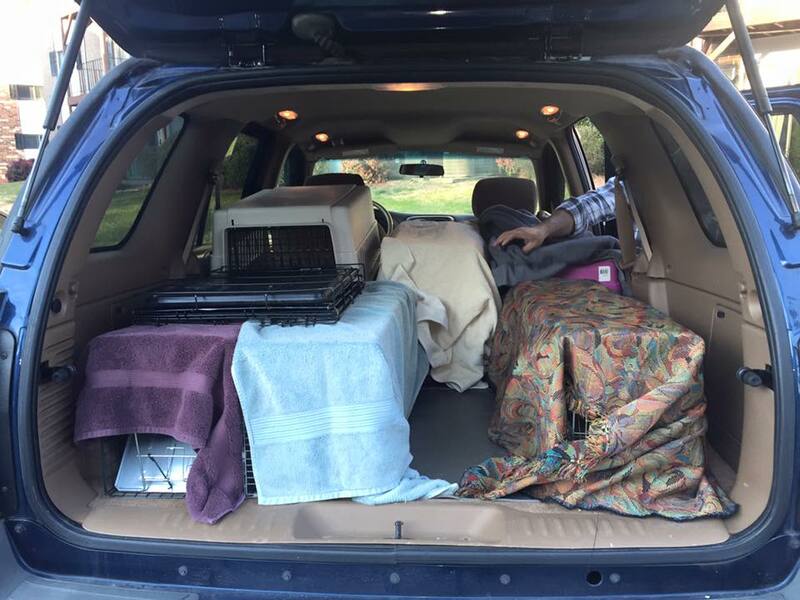 She is spending a few nights with Sparkle Cat Rescue and then being transported to Sheets Pet Clinic in Greensboro, NC, where she will be examined and picked up by Juliet's House. Update 2/20/16 - Mama cat (now Kit Kat) gave birth to six kittens in her foster home with Juliet's House. We are two more babies of six babies needing to be rescued from Kenyon's Meat Market in Mebane, NC. We were rescued today and taken immediately to be spayed and neutered. We combo tested negative. We are two of six kittens living with our mama outside a meat market in Mebane, NC. The land behind the strip mall where Kenyon's Meat Market is located is in the process of having trees cleared out and our only refuge is disappearing. Renea Kenyon posted on Cats of the Triad Needing Rescue or Adoption (a group Sparkle Cat Rescue created on Facebook) asking for help. Sparkle Cat Rescue saw the post and put into motion a plan to rescue us. They talked with Juliet's House who agreed to take our mama who is pregnant, and mama will have her babies in foster care. We were neutered and spayed upon intake. We were rescued first, then on February 5, our mama and two more siblings rescued, and on February 8 our tortie sister was rescued. One of our siblings hasn't been seen since before rescue started for us. 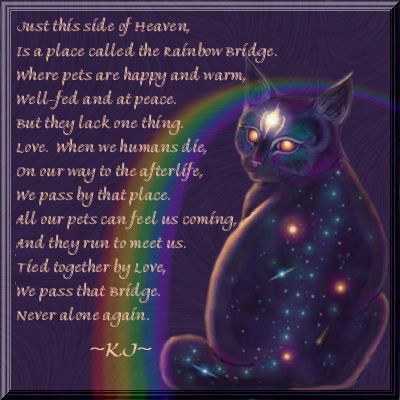 We hope they can be found and join us at Sparkle Cat Rescue.